We haven't gotten any new music from Tamar Braxton since her last album Calling All Lovers was released in 2015 & sadly she couldn't properly promote the project with a tour due to health issues. Over a year later she is ready to release a new album which she has already begun recording & she has given some new details about what is to be expected. 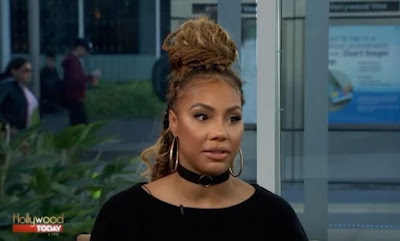 Braxton was a guest on Hollywood Today Live yesterday (Jan. 17) where she revealed that she's been in the studio with Rodney 'Darkchild' Jerkins. During the interview she went onto to talk about hitting the road for a tour after the album is released. Tamar excitedly summed up the new project as being a "Grammy sandwich".